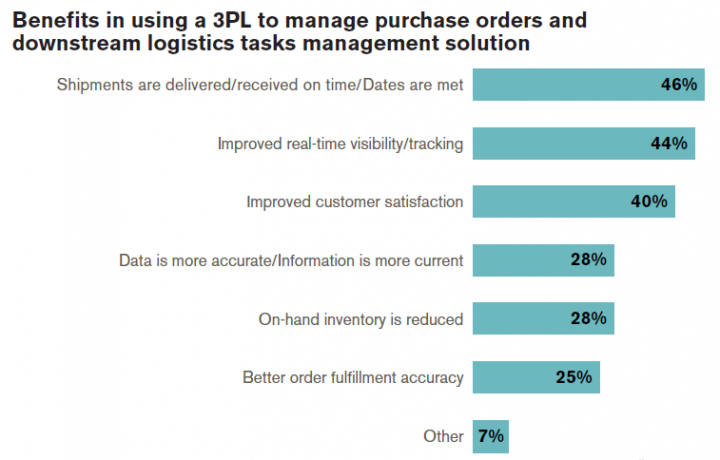 Rethinking Order Fulfillment with 3PL . What Is 3PL? Processing and fulfilling orders can be a challenge when companies try to control and manage every link of the supply chain. According to the key findings of the survey examining the top challenges in B2B fulfillment, only 20% of the manufacturers and distributors are completely satisfied with their fulfillment processes. To minimize fulfillment disruptions, 27% of those surveyed were going to partly or entirely outsource fulfillment-related activities to 3PL. But what is 3PL and why are companies deciding to use this service? 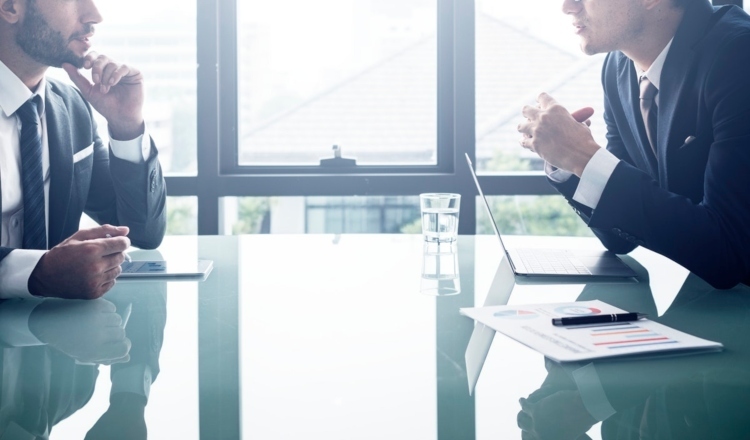 In today’s blog, we’ll define 3PL, explore the benefits of leveraging 3PL expertise, provide a glimpse of the top 3PL companies, and talk about how outsourcing to 3PL would improve business’ bottom line. 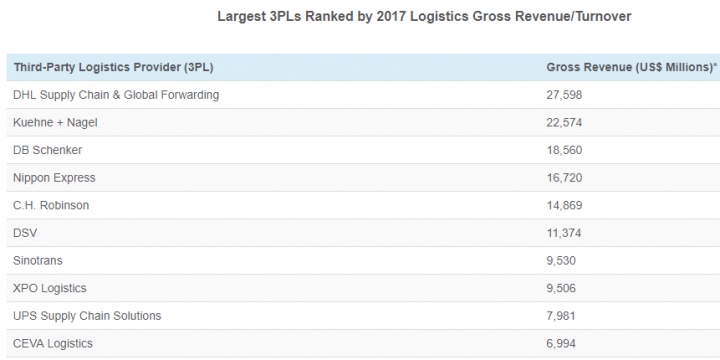 What does 3PL mean? In a B2B world where logistics is critical to eCommerce success, 3PL (third-party logistics) is a lifeline for companies looking to get in front of their fulfillment needs, meet customer demand, and stay competitive. 3PL is a helping hand that moves products through the supply chain. While some third-party logistics providers specialize in one specific service, others offer integrated solutions. Top 3PL companies provide outsourced solutions to supply the entire supply chain cycle. Let’s see how different 3PL providers can be categorized and understand what services they offer. 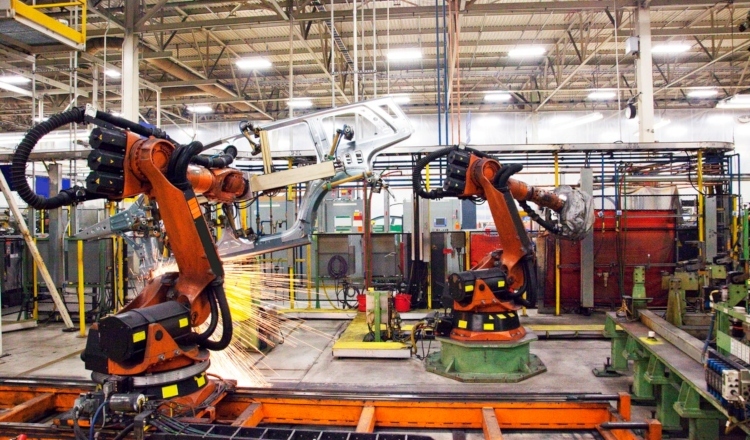 Procurement-focused 3PL companies help develop, manufacture, and source products. For example, they can help choose high-quality manufacturing materials or a reliable production facility, set up manufacturing run based on forecasted demand, or assist with product customizations. Fulfillment 3PL providers are responsible for storing products and manage end-to-end deliveries. The services they offer include warehousing and inventory, order processing and packing, freight shipping for B2B and parcel shipping for B2C, returns management, and stock level forecasting. Transportation-focused 3PL companies manage different aspects of inbound shipping. 3PL companies specializing in procurement and distribution usually offer transportation services as well. Transportation-focused 3PL organizations handle domestic freight, cover import and export needs, and manage overseas shipping. Some 3PL providers not only facilitate order fulfillment for their clients, but they can also support certain sales and marketing activities. They may offer brand development services (e.g., logo designing or branded packaging), management of multichannel platforms management (Amazon/eBay), or eCommerce store management. Sales-supporting 3PL services also collect and analyze various sales data which then can be used by a client company to improve product development or reordering. Depending on their business needs, some eCommerce companies partner with 3PL to outsource only specific distribution and fulfillment activities instead of overseeing them in-house. Some businesses hire 3PL to only handle procurement or warehousing. 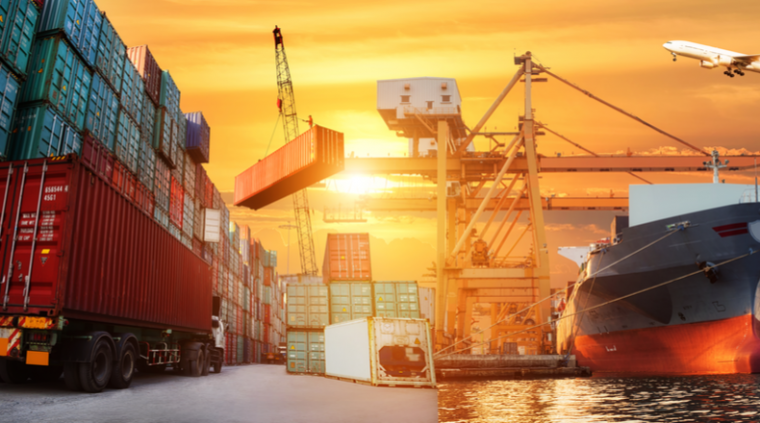 Some need a third-party logistics provider to ship between their manufacturing facility and a warehouse or receive new inventories from manufacturers and ship these directly end customers. The use cases are endless and 3PL can cover them all. Although eCommerce is a hot topic for B2B businesses, providing buyers with the option of purchasing from you online is only half the battle. 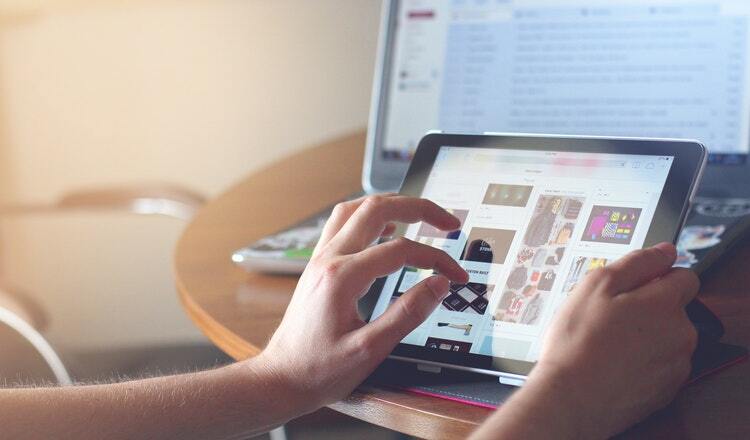 B2B eCommerce companies taking online orders via their websites are often faced with the challenge of processing and fulfilling these orders, especially as the business expands and the order volume surges. How can you orchestrate logistics and not get bogged in distribution issues? Farming out distribution and fulfillment functions to a 3PL provider that knows all the ins and outs of logistics handling could help you optimize your entire logistics network and avoid business disruptions. As your business grows and sales increases, providing your buyers with a seamless ordering and fulfillment experience will be critical. But instead of dedicating your time to resolving logistics and fulfillment operations, your time can be better spent on winning new customers. By outsourcing warehouse management or distribution to a 3PL partner, you can free up time to focus on what really matters for your business – and that’s sales. If your business is affected by seasonal ordering, having the appropriate staff to weather the busy periods is vital. By outsourcing packing and shipping to a 3PL provider, you don’t need to worry about scaling warehouses and how to properly manage inventory. When orders slow down, a 3PL partner can help scale back by re-allocating assets. Warehouse and storage space costs are a substantial part of the overall fulfillment expense. Once you run out of storage space – which is only natural if your business is scaling – you’ll need to put up with increased warehouse overhead. Renting an extra storage may be unnecessary as 3PL providers can offer space to store large amounts of products on budget-friendly terms. Returns and exchanges are inevitable. You have to allocate the proper resources to process product replacements or take care of returned items, which add more workload to your team. 3PL will help you restore operational efficiencies by taking care of the return and exchange process. Better service quality through greater expertise: 3PL providers already specialize in warehousing, transportation, and fulfillment and will bring in all the required level of expertise that translates into a customer experience. Let the experts focus on logistics while you focus on your business. Infrastructure and fulfillment cost savings: By outsourcing warehousing and delivery management to a 3PL provider, eCommerce businesses can cut down on infrastructure, labor, technology, and operating expenses. Optimized inventories: Forget about overloaded warehouses, stock-outs or obsolete inventory items. A 3PL partner will maintain your inventory to meet actual product demand only. Increased capabilities when expanding to new markets: Shipping certain products internationally may be too expensive. Hiring a 3PL to manage global shipping will help ensure faster deliveries to new geographies at competitive rates. While there are many benefits to 3PL, there are also some disadvantages. Here are the two major disadvantages of engaging with a 3PL service provider. It takes time to find a quality 3PL partner that understands your industry and will adapt to changing business needs. When choosing a third-party logistics provider, evaluate own business volumes. Think whether a 3PL company can handle your current operations and scale in line with your growing or changing business needs. Evaluate the provider’s past and ongoing performance and check whether they have long-term customers. Also, verify that a 3PL provider will be supporting technologies used by your company. A third-party gets control over your business function(s). You’ll have to deal with the lack of direct control over products and order fulfillment and will rely on how your 3PL partner delivers the promised services. If a 3PL fails to perform their part of the contract, it will tarnish your reputation and impact your company’s image. In this regard, the previous point no longer seems to be a disadvantage: take your time when choosing a reliable third-party logistics provider. Advantages of bringing in a 3PL outweigh the disadvantages and associated risks. Hiring a trustworthy 3PL services provider will pay off in the long run. The added expertise by a 3PL will help you grow, meet customer demands, and improve customer satisfaction. When considering whether to use 3PL services, first try to identify which functions it makes sense to manage in-house. Then go through your operational pain points and see where you’re falling short – these could be operational areas you’d better hand over to a skilled 3PL. Estimate how 3PL services can help you trim costs and increase operational efficiencies. Additional purpose-built tools may come in handy. For example, this simple 3PL Quick Cost Calculator allows to figure out how much it would cost to outsource warehousing.